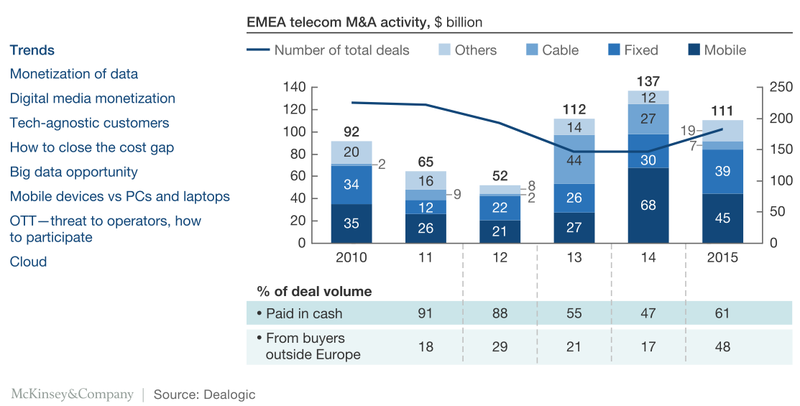 While successful telecom M&A deals all share important similarities (eg, expected positive outcomes and captured cost synergies), specific acquisitions tend to rise or fall according to the unique calculus that governs individual companies. A new heat map tool, supported by a comprehensive database, can help leaders choose the right acquisitions for the right reasons. 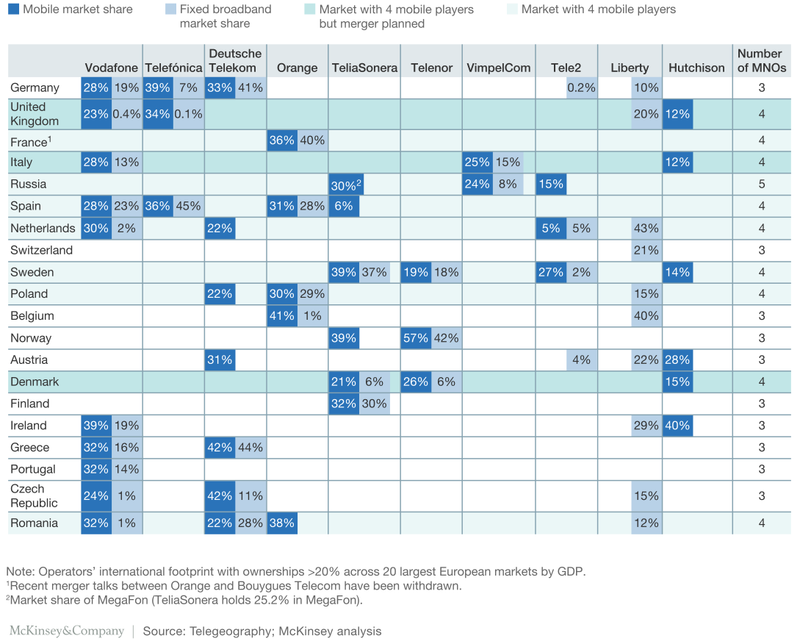 The M&A heat map provides a first indication of potential deal scenarios, while the synergy database offers a granular set of ideas for developing outside-in value creation estimates based on benchmarks from recent European telecom mergers. The heat map–driven approach allows users to create an overview of the most likely scenarios in the European telecom market, enabling them to work through potential strategic moves and to zero in on the most compelling acquisitions. 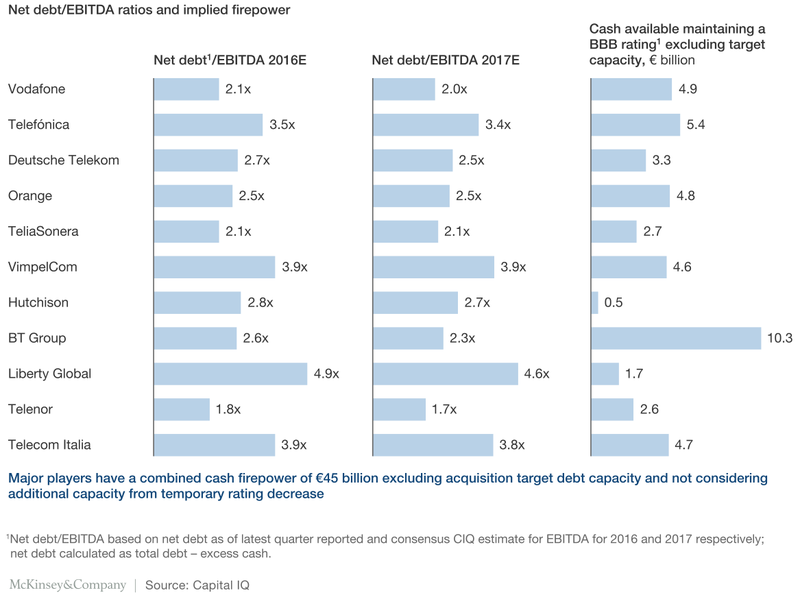 Choosing targets wisely is a must-have skill today, because leading telecom players have enough “firepower” (ie, balance sheet strength) to do significant damage if they misjudge opportunities (Exhibit 2). 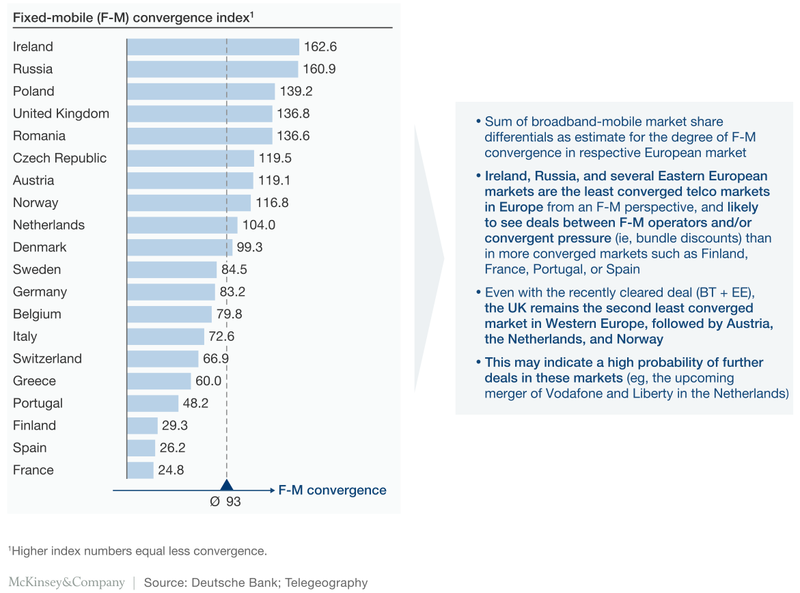 Globally, industry players currently hold combined cash firepower of €45 billion. Regulation plays an unusually powerful role in the telecom industry, and its impact on M&A deals is no exception. 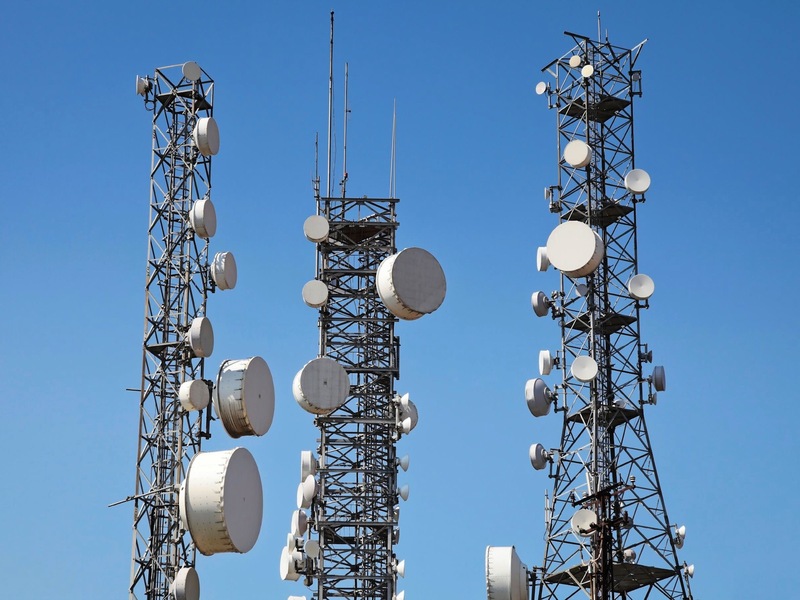 Consequently, understanding the implications recent regulatory actions could have regarding telco M&A activities is a mandate for acquisitive industry players. One recent regulatory trend involves the increasing proportion of M&A deals approved with “conditions.” For instance, the percentage of M&A deals approved in the EU with conditions increased from 8 percent during 2004 – 2010 to 31 percent during 2010 – 2016. This growing trend recognizes the industry need for consolidation, and the reality that higher levels of concentration often require new remedies, which drives the increase in conditional approvals.